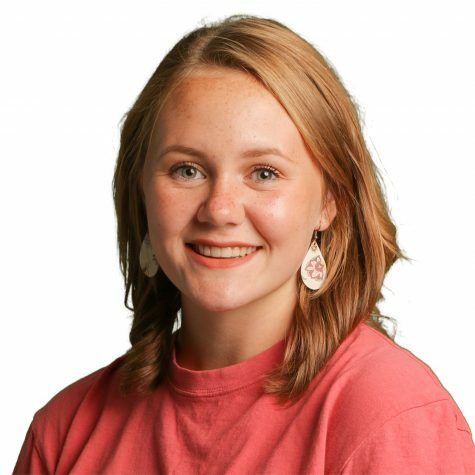 Cameron Murry is a staff photographer and staff writer for the Tiger Times. Her hobbies include writing, baking, listening to country music, and watching the sunset over Broken Bow Lake. Her Southern belle attitude and accent make her a source of amusement amongst the newspaper staff. She can often be found hiding out in room 50A, avoiding the impending reality of graduation and laughing at every joke she hears. She has a habit of stressing out too much over her schoolwork, explaining why she can typically be found sporting an oversized T-shirt and pink Crocs. Cameron has a passion for trying new things and living life to its fullest potential. Her philosophy on life is this: There will be one moment in each day that makes you look forward to tomorrow. Her heart is bigger than it seems, which is why she plans on devoting her future to helping others through nursing. When she isn’t in Texarkana, Murry can be found in the great state of Oklahoma, lifting canoes and living her best life.